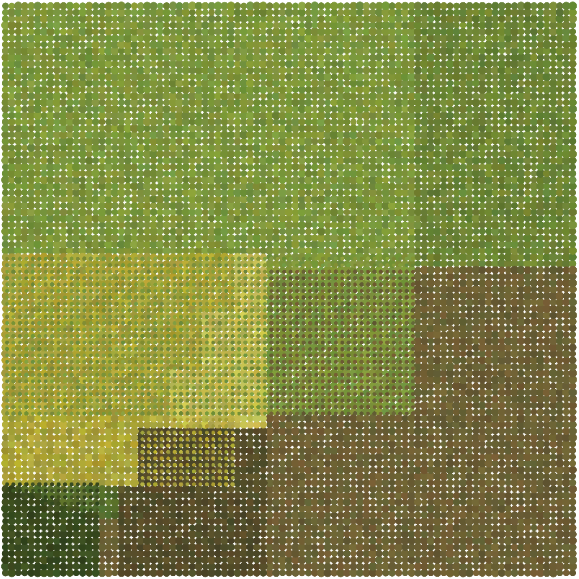 The following texture is created using thousands of circles, each a slightly different random size and color. Shading is suggested by overlaying slightly smaller circles. Four to One, 10" x 10"
Four to One is based on a geometrical dissection of four squares to one, illustrated below. The four smaller squares may be cut and rearranged to form the largest square.